Classroom learning which is meant primarily for the theoretical or conceptual inputs of knowledge on a variety of projects is backed up by lab experiments. Computer Labs of Computer Science and Engineering department have latest technology computers and all labs are fully air conditioned. Labs are equipped with branded computers (IBM, HCL, PCS) (Pentium-IV) with 30 computers in each lab besides the Internet Lab. and a Data Communication Lab. The Internet lab is kept open throughout the working hours of the college. All the computers in different labs and in various departments are inter connected on LAN, which in turn get connected to the Internet. A separate Server Room has been established with latest and high-speed server to meet the efficient utilization of software and hardware on LAN. 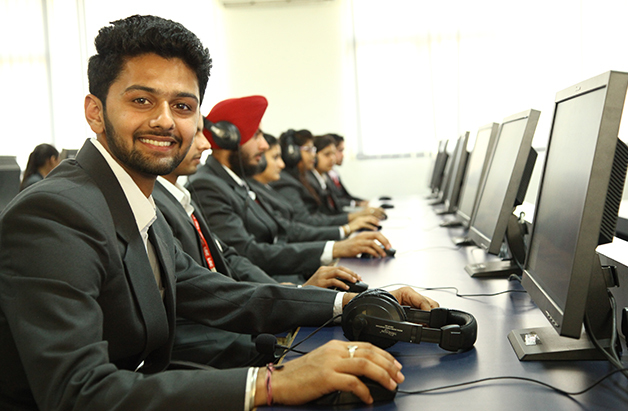 The college has high-speed 8 mbps Internet facility which is provided via radio frequency link. Besides their Lab periods they are encouraged to devote extra time to enhance their practical knowledge by working in various labs. They work on various projects in these labs under the guidance of trained faculty and staff.